For many councils their ownership of a major local asset offers them an opportunity to boost their income in the difficult financial climate. 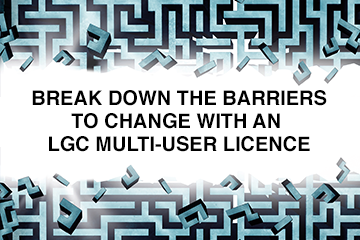 The assets that councils own and use can be surprising, as a few examples from LGC’s Idea Exchange demonstrate. Often these amenities play a dual role in boosting the local economy as well as offering additional income. One could be forgiven for thinking that Borehamwood in Hertfordshire is a long way from the glitz and glamour of Hollywood. However, it is home to both Hertsmere BC and the world-class television and film studios that the council owns. The BBC’s Strictly Come Dancing and Netflix’s The Crown were filmed at Elstree Studios, as were film blockbusters Paddington, The Danish Girl, The King’s Speech and Suffragette. Hertsmere bought the studios during a period of decline in the 1990s and now derives £1.4m per year in revenue from it. The studios also generate thousands for local businesses when filming is in full swing. A number of councils are aiming to provide greener, cheaper energy for their communities while generating income to support their own services. Forest Heath BC in Suffolk counts the largest council-owned solar farm in the country among its assets. The council invested £14.5m in the 47,000-panel solar farm, from which it will derive an income through selling the electricity generated and collecting renewable energy funding from central government. That income will be at least £300,000 in the first year and will rise to just over £700,000 a year by around year 10 of the 25-year project. Luton BC owns the fifth busiest airport in the UK but, when the council launched its ambitious 20-year growth and investment plan earlier this year, it said it had not previously been using that asset to its full potential. Luton BC’s plan put the airport, its “number one selling point”, at the centre of its strategy to attract £1.5bn of private sector investment to the borough within the next two decades. Leeds City Council owns Tropical World, a tourist attraction that hosts the largest collection of tropical plants outside of London’s Kew Gardens, as well as exotic creatures including crocodiles, meerkats and rare butterflies. A revamp of the attraction, which included refurbishing the aquariums and crocodile enclosure and extending the café and retail areas, coupled with small increases in entry fees and a marketing campaign, helped Leeds increase visitor numbers and therefore income significantly.